Our apartments in the town centre of Schladming, the world cup venue, are comfortably furnished and have been fully renovated. The generously proportioned rooms give rise to a modern living space. A very special feeling of well-being is created by the stylish combination of warm wood and the finest materials. 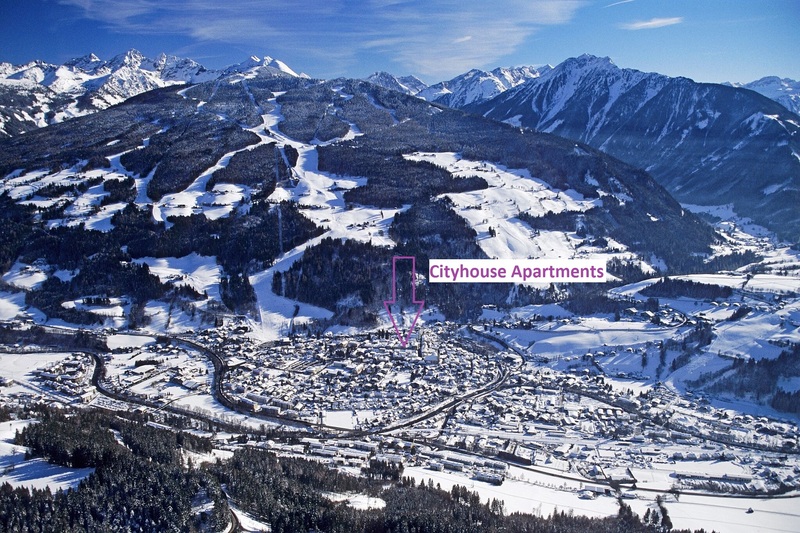 Its central location automatically makes CityHouse the hub of your holiday in the world championship town of Schladming. All the conveniences such as shops, restaurants, cafés and bars are within just a short walk. During your summer holiday in Austria you can set off on your hike or mountain bike tour as soon as you step out the door whilst in winter the ski slopes in Planai are just 3 minutes' walk away. Your lift pass not only opens up the 4-mountain ski resort (Hauser Kaibling, Planai, Hochwurzen and Reiteralm) to you but also the wide variety of slopes in Ski amadé. Ski in the largest ski alliance in Austria – an unbelievable 860 perfectly groomed downhill slopes await you. There's something for everyone here. No matter the season in which you're planning to spend a holiday in Schladming and no matter whether you're travelling as a couple, as a family or with friends, the comfortable CityHouse apartments provide the perfect base for your holiday activities. Book now and start looking forward to an unforgettable time in Schladming.